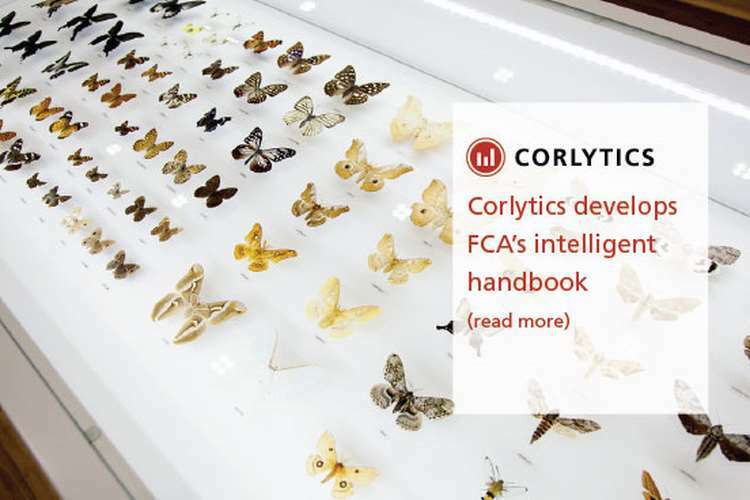 Corlytics, the global leader in regulatory risk intelligence, has helped develop the world’s first intelligent regulatory handbook for the UK’s Financial Conduct Authority. The FCA handbook is used by thousands of regulated financial institutions and their advisers daily. It contains regulatory obligations which are binding, as well as, manuals which contain provisions. The structure was previously an online legal text book. Corlytics has worked with the team at the FCA to develop a central, common taxonomy to categorise all regulations. Having put this in place, the existing material in the handbook can be tagged and machine read. This allows for a fully searchable handbook to be developed. Previously the FCA handbook didn’t have built-in search capability by theme. It had grown overtime as an indexed document. Now it has been totally restructured and is searchable in multiple directions. By teams, by business line, by activity and by theme. Previously indexing technology was used for the online regulatory handbook. It was split into several blocks which were sub-divided into a number of modules. The blocks contained sourcebooks, which contained regulatory obligations that are binding. Also included are manuals, which contain provisions relevant to the relationship between regulated firms and the FCA. Each module within a block was further divided into chapters. Each chapter contained a mixture of ‘rules’ and ‘guidance’. “We have used artificial intelligence and intelligence search technology to enable the easy discovery of data and insights. This intelligent search allows accurate search and discovery with non-precise search criteria. 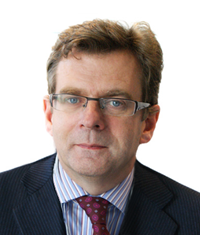 So, users, be they lawyers, compliance officers, risk analysts, banking executives or small firms can all quickly and easily find the regulatory information they need,” explains Byrne. By using a metadata structure, it has made adding an intelligent regulatory advisor as a front end to the regulatory handbook possible. The addition of front-end artificial intelligence needs consistent and accurate data. It is just not possible to develop this from indexing technology, which is neither consistent or accurate. Automation needs metadata so that the text is fully machine readable. Like law, medical research has lots of opinionated papers and lots of non-aligned studies. By analysing the text using machine learning analytics, oncology research has made great strides. Saving and extending lives. Consistent and accurate artificial intelligence is at the heart of the challenge of building searchable, non-aligned materials. Great breakthroughs in cancer research and oncology have come on the back of applying data science logic. Looking at the problem differently. That is what Corlytics and the FCA have done. Byrne continues, “At Corlytics we have moved into the same building as a lot of specialist medical data scientists to better understand what they do. Using ‘trained models’ we are able to teach the models how to understand and interpret the data. 3,000 metadata tags have been added to the original core infrastructure to make all technology projects around the democratisation of the handbook possible. The teams have gone to different sections of the handbook and machine learnt them. Then using a combination of regulatory lawyers and data scientists, they have auto tagged the handbook. This is exactly the same method that has led to breakthroughs in cancer treatment.